A world champion in Mountain Biking, and World Cup winner, Tim Gould is a legend, in the Hall of Fame for mountain biking no less, and he spoke to us about his Forme Calver CX machine. 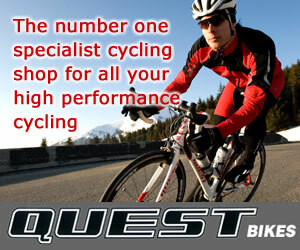 A world champion in Mountain Biking, and World Cup winner, Tim Gould is a legend in off road racing. 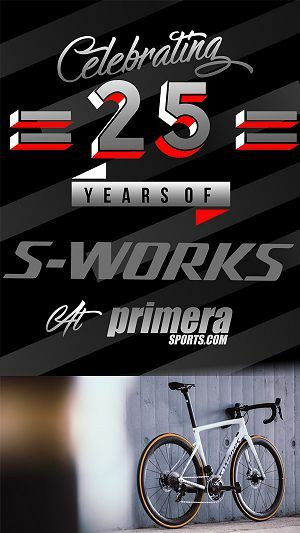 He’s in the Hall of Fame for mountain biking no less, won the Three Peaks six times and he spoke to us about his Forme Calver CX machine. 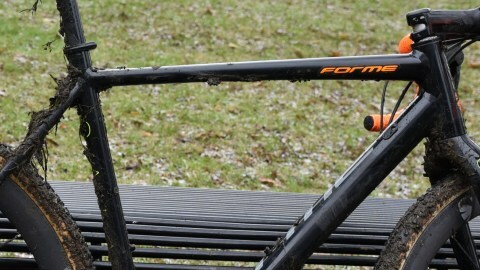 The Calver, say Forme, is a pure thoroughbred-racing tool, designed for the specific demands of a Cyclo-Cross race. 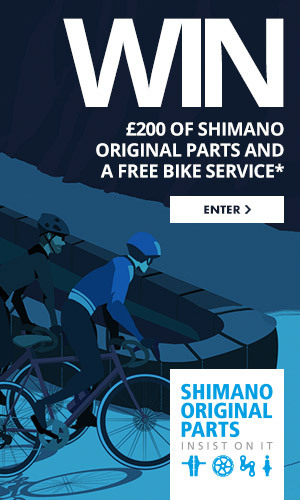 You will not find any mudguard eyelets, pannier rack mounts or unnecessary weight anywhere here. 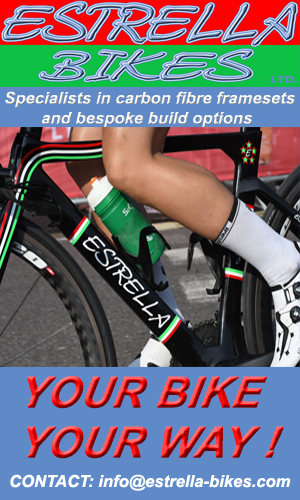 The Calver frame say Forme, is the lightest aluminium disc-brake compatible frame on the market and lighter than most carbon frame at less than 1.2kg. 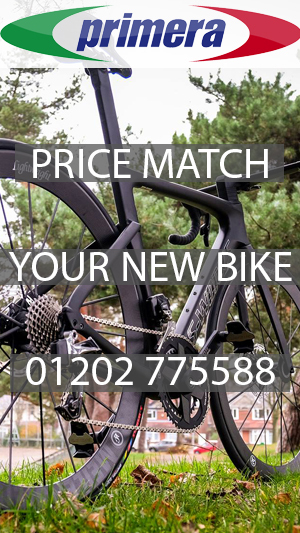 Developed with the assistance of some of the UK’s most experienced and successful Cyclo-Cross racers, their ambition was to deliver race-winning performance at an affordable real-world price point. 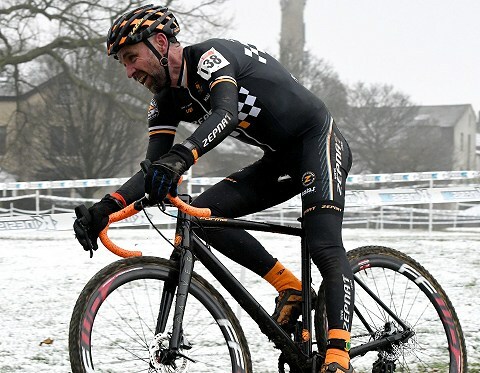 At the Bradford National Trophy they went close to winning in two events, the Over 50’s with Tim Gould (2nd) and the Elite Men’s with Grant Ferguson (2nd). 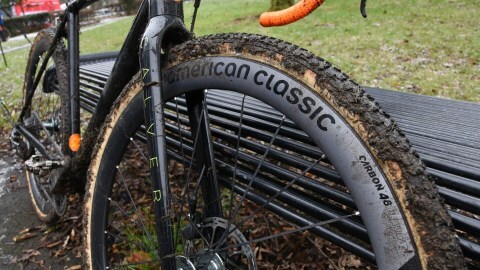 “The bike has a slacker head tube angle than what I am used to” says Tim, “but I am finding that a positive. The bike isn’t twitchy, and on the steep descents we have today (Bradford National Trophy), it rides really well and the confidence to attack them”. 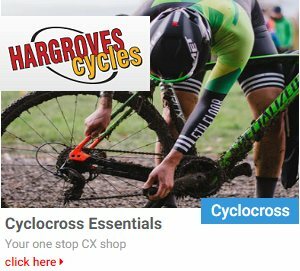 “If you are starting crossnow, you’d go for disc brakes and the single chain ring. 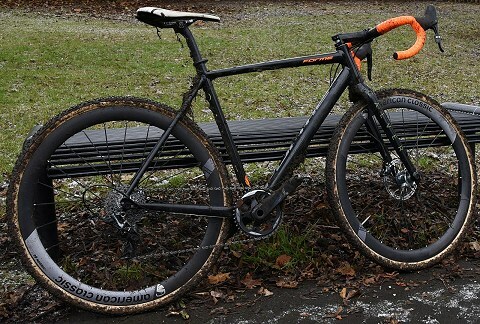 One or two of the die hards will use canti-levers but they are people with three or four pairs of canti lever wheels and it is hard to make the transition”. 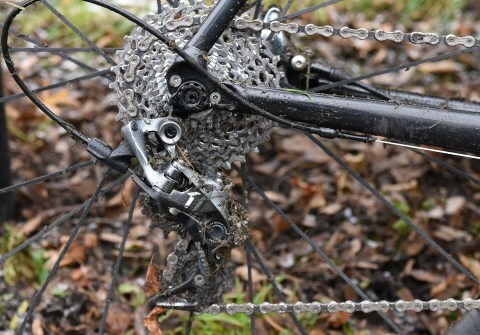 “I’m riding a 42 front chain ring and 11 speed, 11 to 28 at the back” says Tim. “Today, I was never in the 11 and I don’t know if I was in the 28 even, I don’t look round and I wasn’t fighting for a lower gear so I probably never used the 28”. 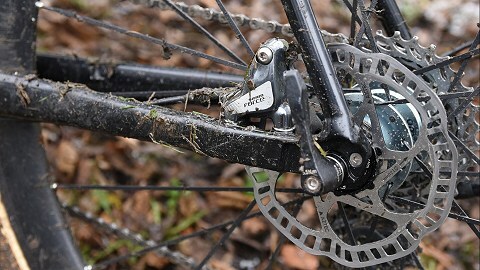 Thru Axles for increased stiffness – A 100x12mm front thru axle and 142x12mm rear thru axle optimize power transfer and responsivity by making the frame/fork and wheel connection stiffer, stronger and more secure. 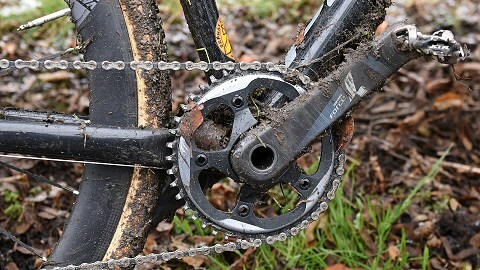 Disc brakes (above) are here to stay in Cyclo-Cross! 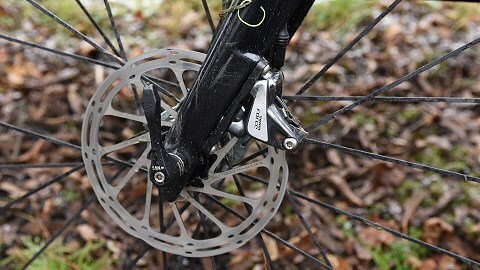 Flat Mount Disc brake options support a clean and compact braking system.